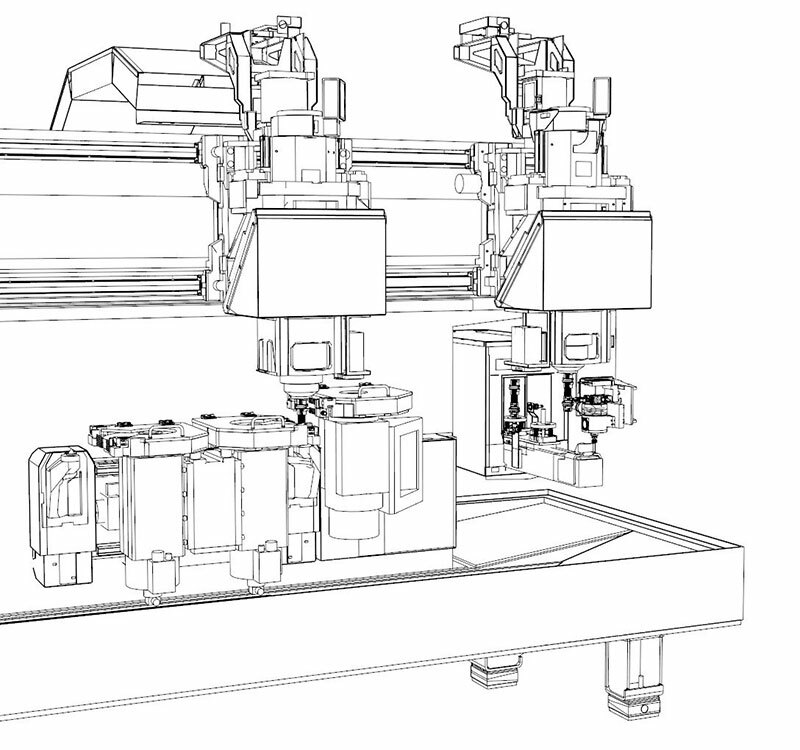 Realistic 3D modeling and simulation of all machining processes and the material flow of manufacturing systems. ProcessSim is the ideal tool for investigating the productivity of manufacturing systems when they are in the planning phase. 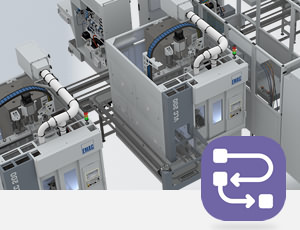 ProcessSim gives you concrete information about the availability and efficiency of the manufacturing system. 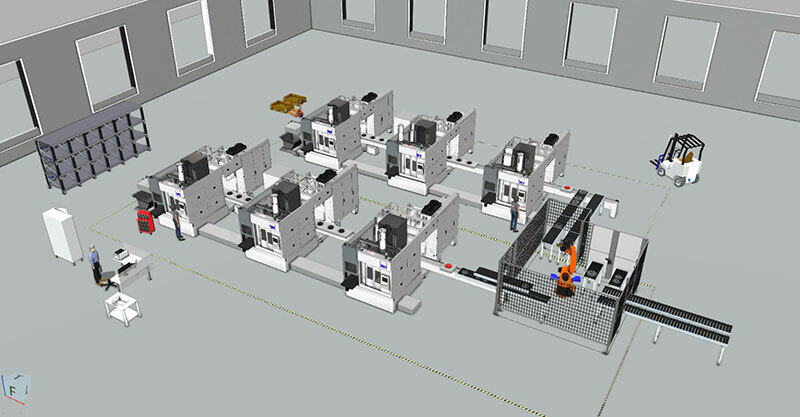 It simulates both the material flow and the machining processes, including the automation systems used. This provides you with evidence of the cycle time and output of the manufacturing system at a very early stage of the project. 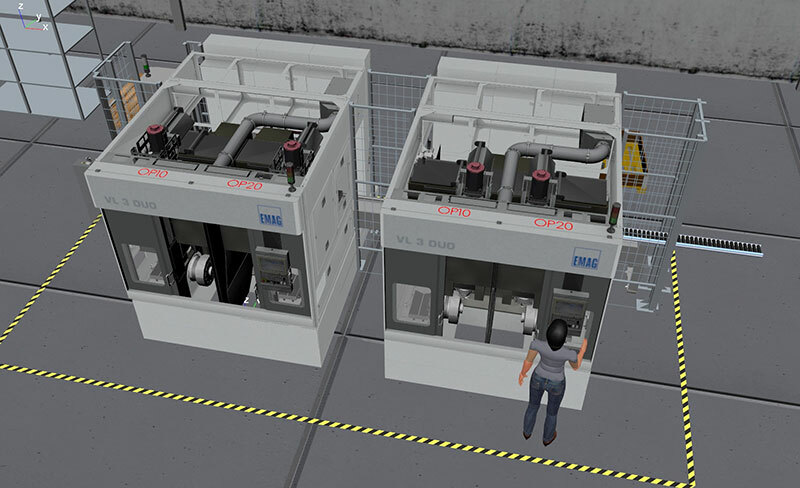 The 3D accessibility analysis also allows the system's ease of maintenance to be examined. Furthermore, ProcessSim gives you the option of exploring tool change and retooling strategies to ensure optimum operation of the manufacturing system.